Dixon JB, O’Brien PE. Gastroesophageal reflux in obesity: the effect of LAP-BAND placement. Obes Surg. 1999;9:527-531. 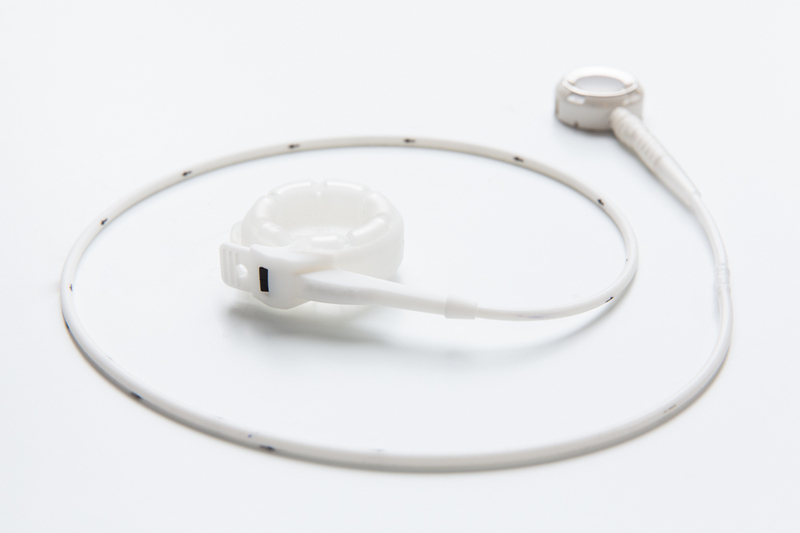 Attached to the LAP-BAND® is an access port. The access port sits beneath the skin on the abdomen, and allows the LAP-BAND® to be adjusted to the patients’ individual needs. For optimal weight loss, we work with you on a regular basis to ensure you are in the ‘Green Zone’. These adjustments do not require any additional surgery, and are done in our clinic, usually taking only a few minutes. For more information on the LAP-BAND® System zones, watch this YouTube animation. The LAP-BAND® is intended to be implanted as a long-term device, however if required it can be removed at any time. It doesn’t require stapling, removing or re-routing any part of the stomach, which makes it a minimally invasive procedure. Patients with a BMI of 35, or 30 with 1 or more obesity related diseases qualify for the procedure, which usually indicates around 20kg or more to lose. The LAP-BAND® System has been a proven tool for weight loss since 1994, with over 850,000 patients worldwide.8 It is a prosthetic device made from medical grade silicone which is used in many other medical devices such as hip prosthesis components. The procedure is usually performed as day-surgery, and recovery time is around 1-2 weeks.